They say “third times the charm”? It’ll have to be at the rate I’m going through smart bulbs. 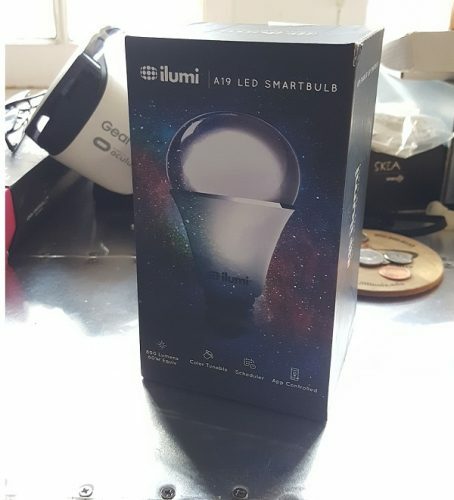 After the disaster that was the C by GE that I tried over the summer I bought myself an Ilumi LED Smartbulb. I saw a demo of the Ilumi in action and thought it would be a perfect fit for my office. Sadly despite the bulbs positives, (1) high lumen output and (2) range of lighting configurations (e.g. RGB), it has several flaws which make it unusable, at least for me.